WPC is an independent organization and does not receive government funding. Our work is funded solely through tax-deductible gifts from private companies, foundations, and individuals. WPC is a non-profit, 501(c)(3) tax-exempt organization. WPC’s tax identification number is 91-1752769. 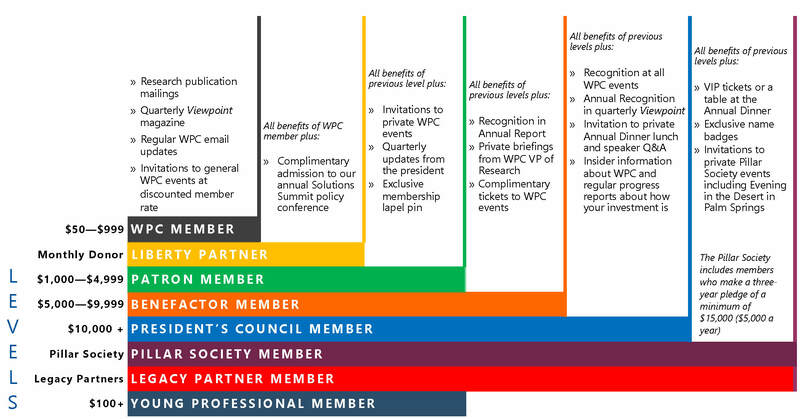 WPC offers a wide variety of membership levels and benefits that follow accordingly with each level. Some of our benefits include invitations to our private events, recognition in our Annual Report and access to our research publications and quarterly Viewpoint magazine. Find more information on our membership levels and benefits here. How can I Support WPC?